Where there are volcanoes there are hot springs. Banos de Agua Santa, Ecuador has both. After some hectic days in Quito Sean and I decided we needed some time away from all things City. We read up on “Banos” and decided on a two day trip, which is about a 3 1/2 hour $7 bus ride into the area which is known as the gateway to the Amazon. 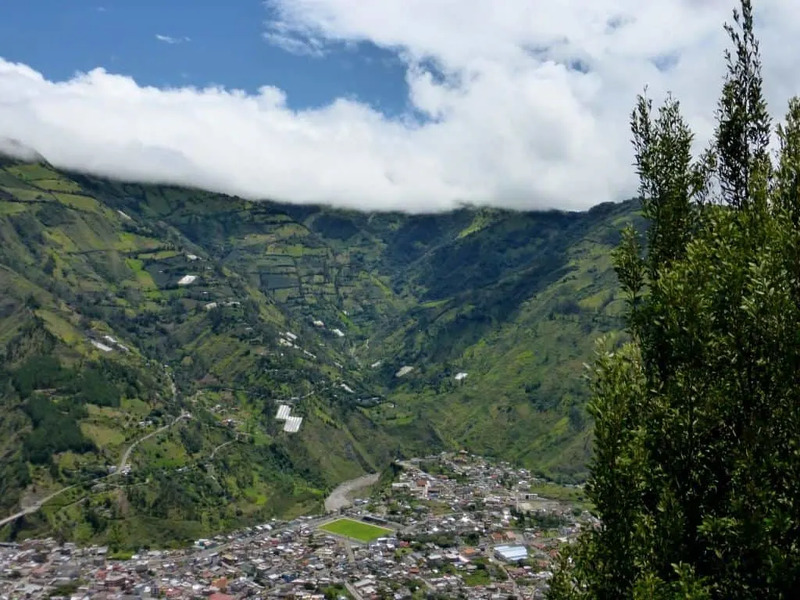 This all sounded wonderful and relaxing until we learned that the Tungurahua Volcano above the City was now actively erupting. Sean was thrilled at the prospect of speeding toward the vicinity of the lava flow. Me, not so much. We heard as many people say that this was “normal” and a “thrilling experience” as others who warned us to stay away – muy peligroso (very dangerous). We watched the news and decided to go ahead and take the trip after seeing that the activity has subsided and finding pictures of people taking smiling “selfies” with the ash flow in the distance. Caution to the wind! Much to Sean’s disappointment we didn’t witness any activity in the volcano. We did however see views in every direction that took our breath away. And some other artwork that could only work in this place. 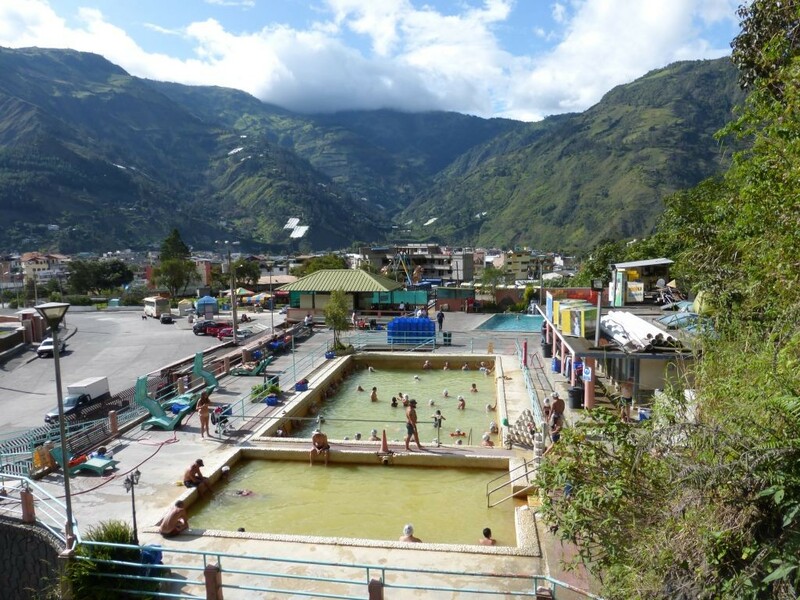 Banos is known for both the thermal baths and extreme outdoor sports. We decided on a whitewater rafting trip (post coming soon). The next day we opted for a 1/2 day spa trip – much needed after discovering protesting muscles we had abused to make it down the river in one piece. 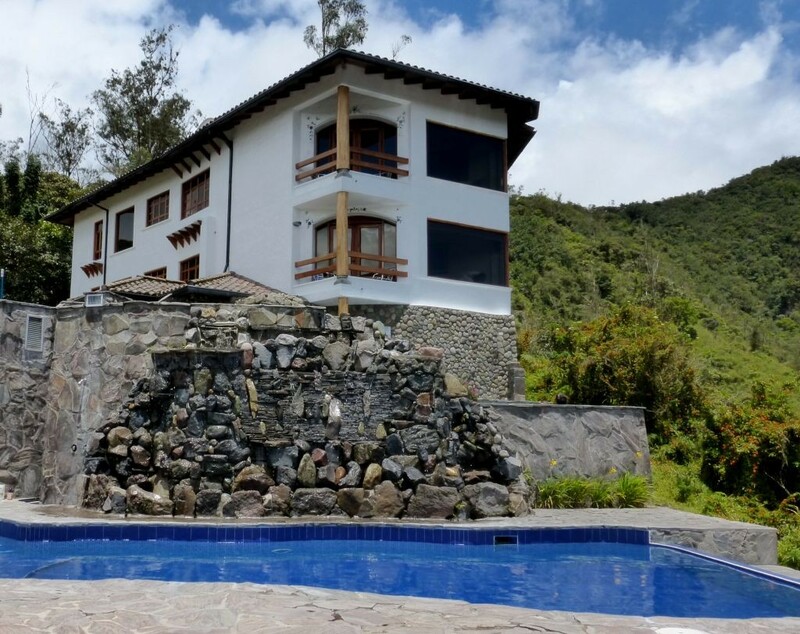 The best known spa in the Las Piscinas de la Virgen, a public bath just below a waterfall on the edge of town. There are 3 pools there, one extremely cold, one warm, and a hot pool that reaches 118 degrees F. You can witness the “ojo del agua” where the volcano heated water gushes from the earth at 122°F. The experience will set you back between $2 – $3 US depending on the time of day that you visit. Sean and I opted for a splurge and decided to go to the Luna Runtun Spa higher up in the mountains. We took a taxi there for $5 and were treated to a brief personal tour of the area by our driver. He said that he grew up in the area and was obviously very proud of this special place. The heated pools with sweeping views in every direction were fantastic. 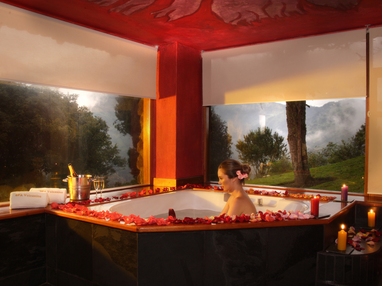 The spa also has several guest rooms and additional treatments. The hotel brochure pictures a women in a hot tub looking toward the volcano getting the “eruption romantica en el crater.” This apparently will set you back $249 with wine and a cheese plate. 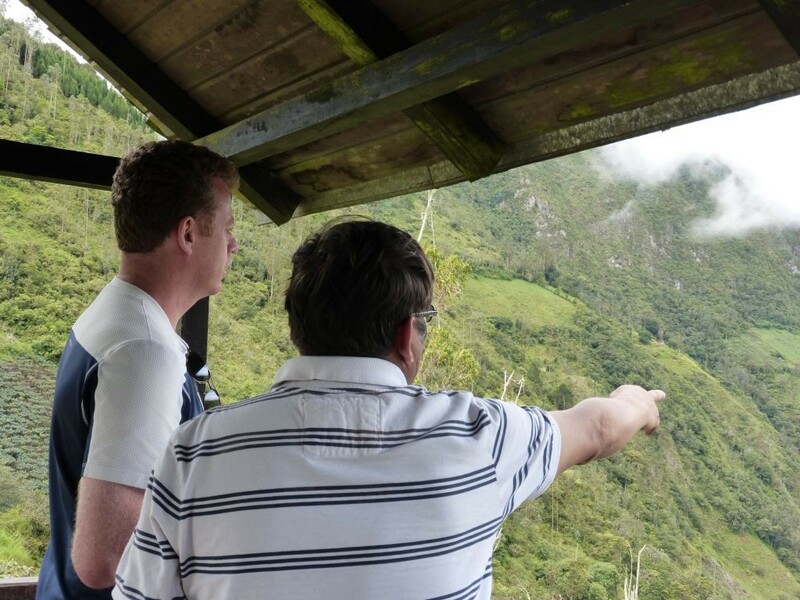 Errr, Ok.
With a bus to catch back to Quito we were denied this experience, but there’s always a next time. Here’s to then! 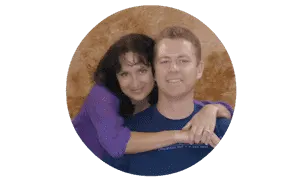 Considering traveling to South America? Find are a few articles that may inspire you to go here! White water rafting and a hot tub sounds like the perfect weekend getaway! 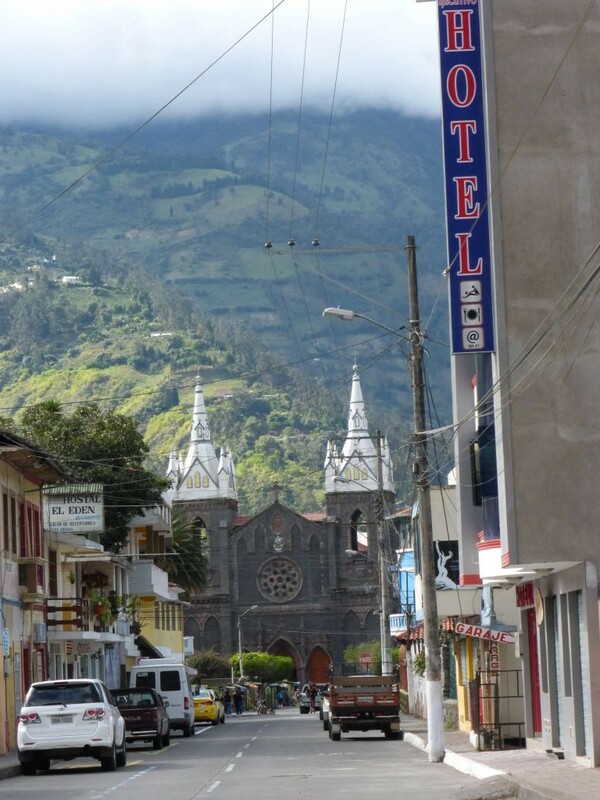 I cannot wait to visit Ecuador because of this. I’m quite intrigued by the 3 side by side pools, i.e. one extremely cold, one warm, and a hot pool. Are they all naturally heated? Great timing..I’m heading to BaÃ±os in 2 days. Thanks for all the info. Haven’t been to Ecuador yet but your post is absolutely piquing my curiosity for it. Great coverage! This place looks amazing. I love hot spring spas. 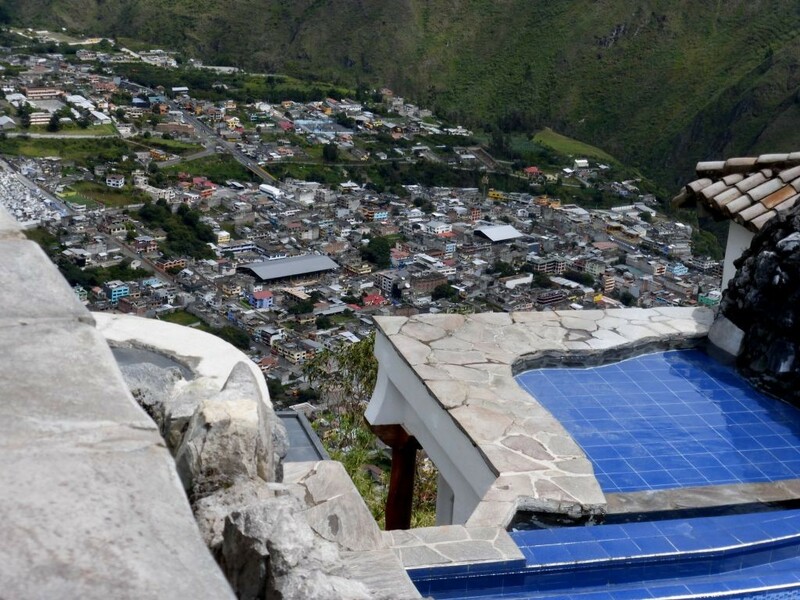 That spa looks amazing but seeing the pool perched on the edge of a cliff like that is a little scary! I love the valley view though! 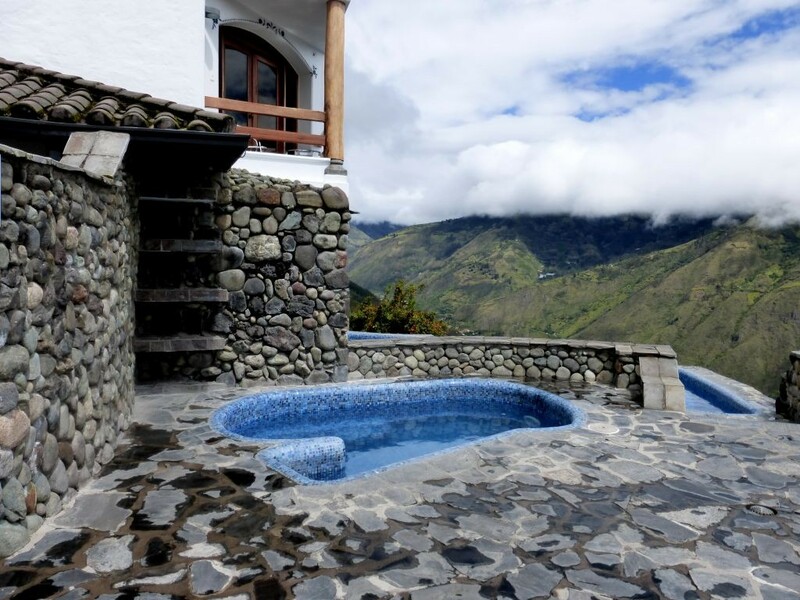 Oh BaÃ±os, what a special place! Can’t wait to hear about rafting and more of your Ecuador stories! I’m with you. 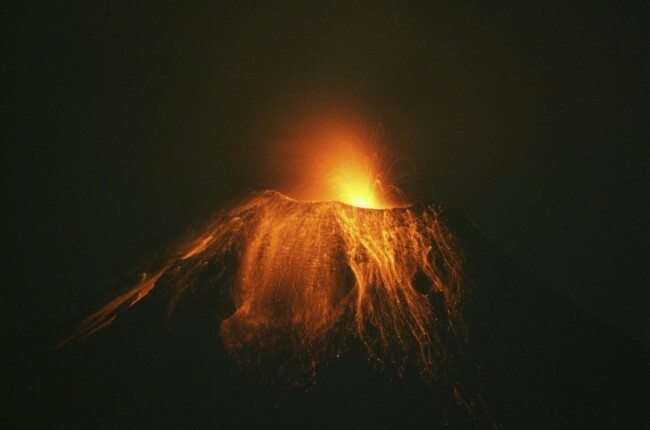 I prefer not to get too close to active volcanos. Spa sounds like the perfect compromise. 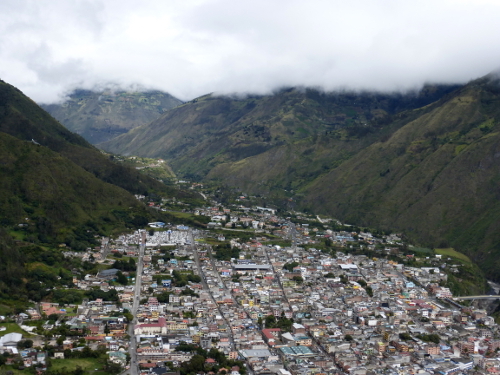 Wow, what a stunning area; I definitely need to visit Banos someday! 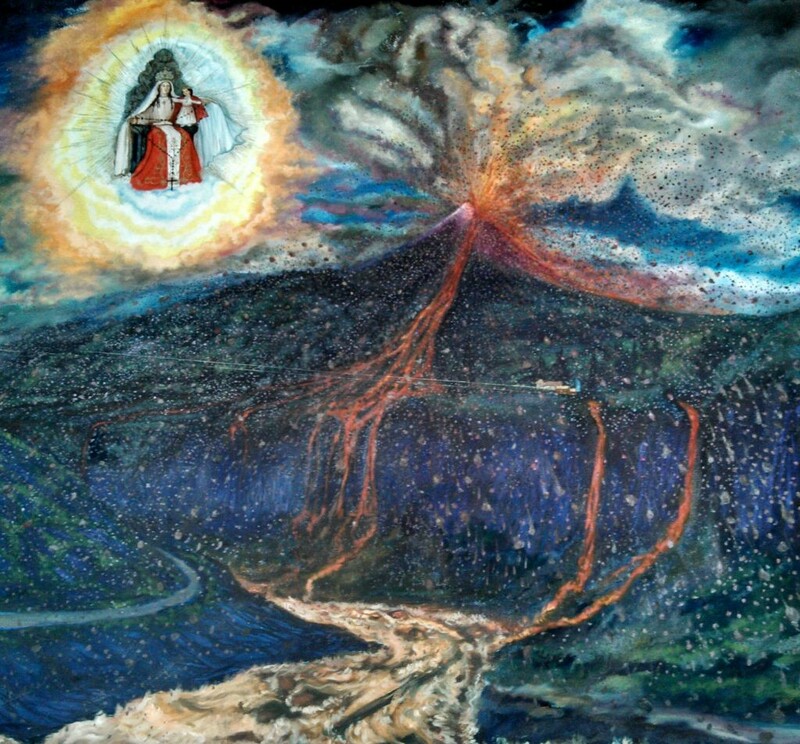 I’m glad that you were safe from the active volcano!